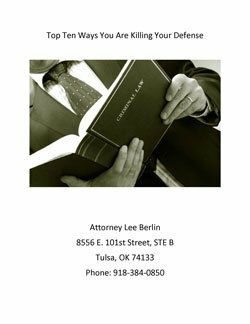 In the beginning of my case, I went a cost-effective route with an attorney that I thought could do what is needed before I needed to bring in Lee... people, this is your life! Do not make a foolish mistake by not seeking and retaining the very best from the start. Before I was introduced to Lee I was restless, fatigued, and lost. After a consultation, Lee lifted the weight off my shoulders and placed it upon his own. Money is an object that we earn. Your time left on Earth, however, is a gift that fades. Contact The Berlin Law Firm, before your gift is taken away from you altogether. Lee let me know up front that my case would be tough. Lee answered all of my questions, let me know my case would be tough but he would do the best he could. He spent his time discussing every part of my case. I had an assault & battery case and I called Lee Berlin to take care of my case and he did an amazing job. Not only that, but he makes you feel welcoming, is very professional, gives you advice, explains everything and took care of my case very quickly! Which I knew he would because he's great at what he does! Mr. Berlin put me at immediate ease. It is nice to know someone else is there for me and on my side. Mr. Berlin was very professional and help explain everything that was going on. I look forward to the outcome of working with Mr. Berlin. I traveled 2.5 hours to meet with Lee Berlin. I was helped by not only Lee but also his office manager. Upon my first impression of Lee. He is an intelligent, focused and caring attorney. His attention is solely on you and what he can possibly do to help. He is a very straight to the point type of person. Which in my case is just what is needed.I would highly recommend Lee Berlin to anyone who is having any sexual oriented type of case. Listened to me and well treated as a human and fellow man. Its be along while since I have felt like someone of value. He is a good man and treated me with respect. He has knowledge and skills in areas most don't. He is simply amazing. Thank you Lee for your kind support and helping in such a difficult time. Lee was honest, knowledgeable and very helpful. I highly recommend to anyone needing his assistance. He explains things and doesn’t sugarcoat them. Not once did I feel like he wasn’t doing what was best for me.